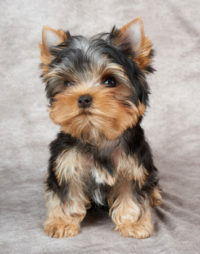 The Yorkshire Terrier, often referred to as the Yorkie, is an affectionate, intelligent and loyal companion. Yorkies are currently the second most popular breed of dog in the world and continue to worm their way into the hearts of many. Few can resist the charm and cuteness that seems to radiate off of these beautiful little dogs. One of the most popular and long standing breeds here at TLC Kennel, we have a wide range of sizes in the Yorkshire Terrier to suit your needs if you are considering a Yorkie as your next family member.